Go Hyun-jung, Kim Hyang-gi and Julien Kang are starring in the drama "The Queen's Classroom". Go Hyun-jung stars as the charismatic and devlish female teacher Ma Yeo-jin. Her agency claims, "She was interested in this drama as it is a new style with a new concept and the female teacher part appealed to her. She also looks forward to working with the children". Kim Hyang-gi takes on the role of Sim Hana, the head of the class. The head to head clash with Ma Yeo-jin and Sim Hana is also a very important view of the drama. Namu Actors say, "Sim Hana's usual character is very like the one in the drama. She's likely to do better in acting". Julien Kang stars as the English teacher Justin who is very athletic but likes to chit and chat with the ladies. Julien Kang is popular for the MBC sitcom "High Kick Through The Roof" and "High Kick 3, The Short Legs Counterattack". He also starred in the MBC TV program "We Just Got Married" with Yoon Se-ah. Meanwhile, "The Queen's Classroom" will be broadcasted in June after "When A Man's in Love". 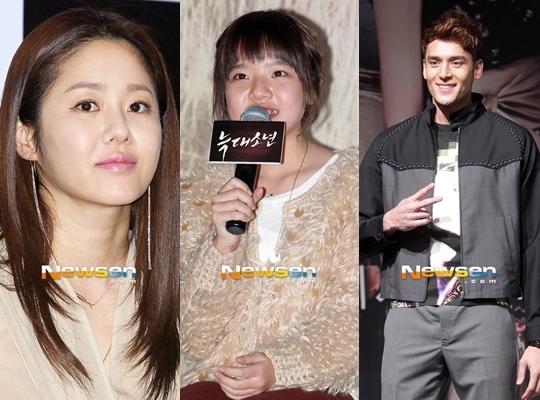 "Go Hyun-jung, Kim Hyang-gi and Julien Kang in "The Queen's Classroom""